After ‘Blue Monday’ spread misery around the world like wildfire this week, we’ve decided it’s high time someone did something to put a smile back on the faces of the nation – and that’s where we come in! We’re here to help you beat those January Blues, with two incredible special offers, perfect for a quick getaway this winter. 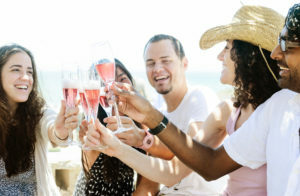 Choose from a cheeky Champagne break, or a romantic getaway to Bordeaux (ideal for those looking for the perfect way to treat their loved ones this Valentines!). You’ll find full details about both of these special trips below and, don’t forget, if you book before the end of the month and use code GRAPEXMAS you’ll receive £25 discount on your booking. A 4 day break for just £287 per person! Staying at our favourite hotel in Reims – the 4* Hotel de la Paix- you’ll be in the perfect central location within walking distance of many shops, bars and restaurants as well as a number of top Champagne Houses! We’ll arrange for you to visit two Champagne Houses in Reims (including the prestigious GH Mumm), and a three course Champagne tasting dinner will be served at a top restaurant in Reims. Don’t hesitate to give us a call to book this fantastic deal, to help you wash away those winter blues! A sumptuous spa break for the perfect romantic retreat! Included in the break for the staggering special price of £660 per person is two nights’ bed and breakfast accommodation at this luxurious hotel. You’ll enjoy a spa morning together in the world-famous Vinotherapie spa, delighting in a unique bubble bath for two! 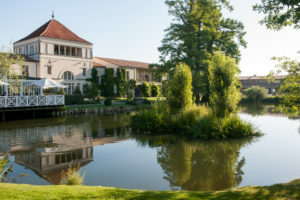 There’ll be the opportunity to visit Château Smith Haut Lafite for a tour and tastings, before dining together in the evening at the hotel’s gourmet garden inn.